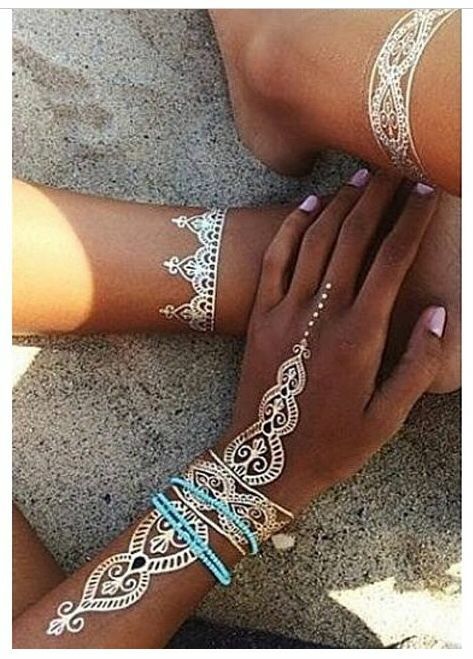 We all know henna as that leaf, which was earlier ground up to a paste and now available in powder form, which is filled in a cone to make temporary tattoos on hands and feet. 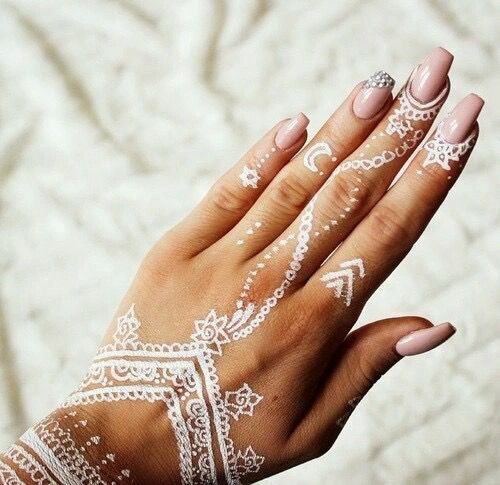 Henna is an art form that uses freehand form to create nice designs to stain the hand for most festive occasions in the earlier days though now it has become quite popular as an art that has now become part of fashion. 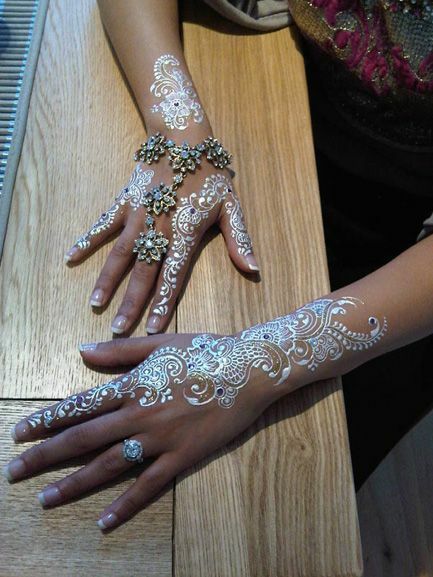 There are many beautiful henna tattoo designs that you can adapt. 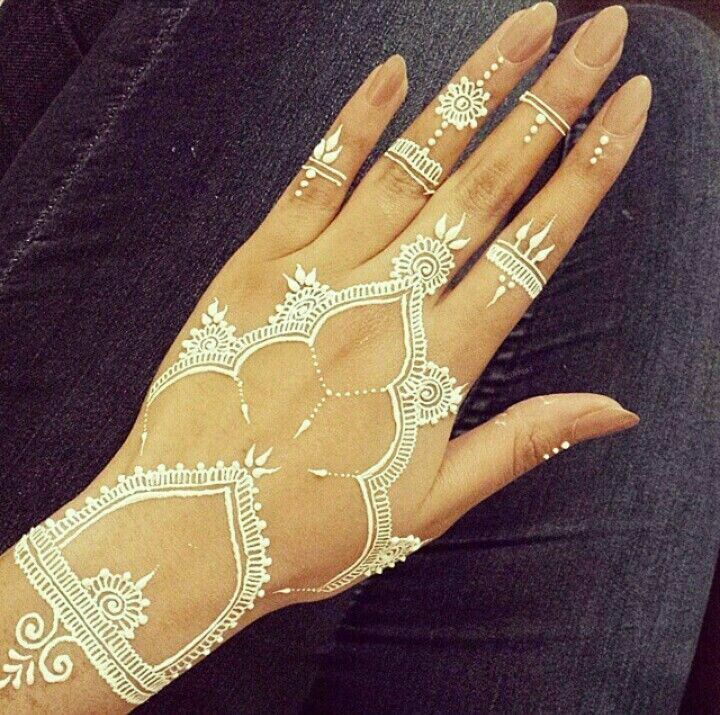 However, we are not talking about henna in traditional sense here but rather about white henna. White henna though not actually henna in the real sense is a gliding paste that is a body adhesive used to create henna like designs. 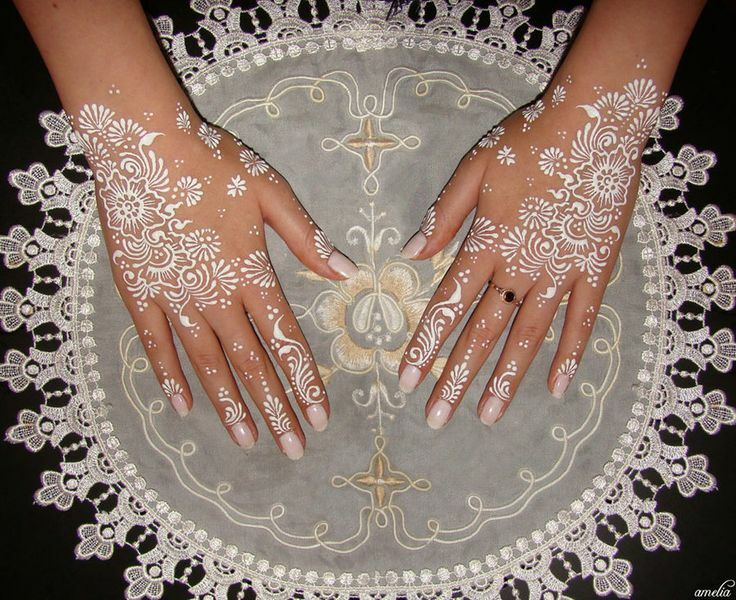 In many instances, the white henna paste is applied with the help of a cone and is sealed with gilding powder or glitter. 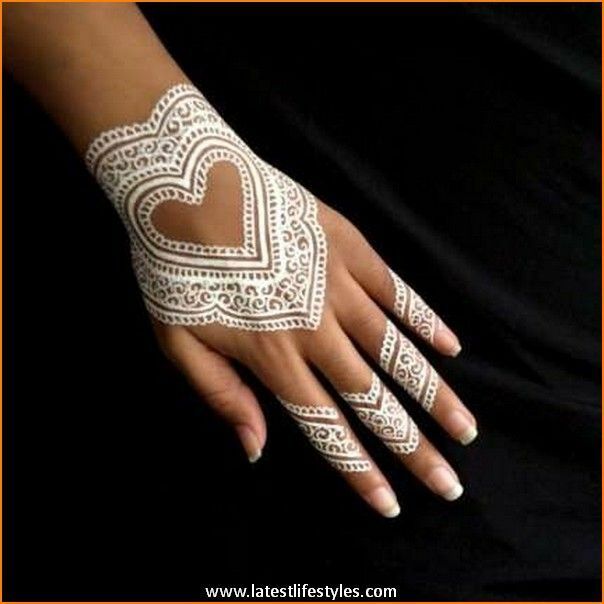 If you find that you are running out of inspiration for white henna designs and want something really different, then there are beautiful rangoli designs like never before to draw inspiration from. 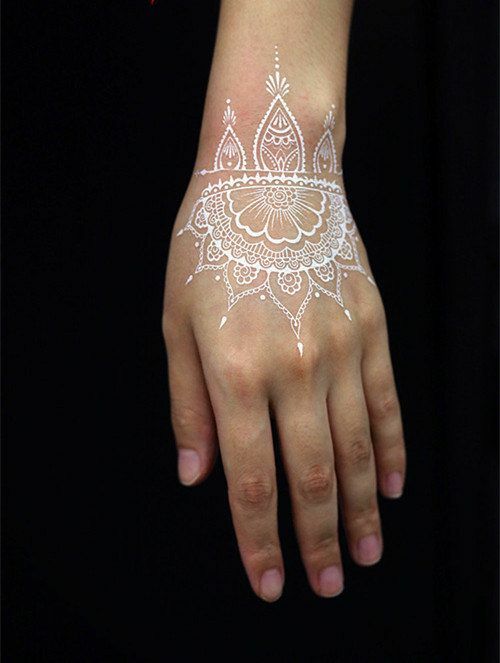 In addition, we would ask you to add white henna to your list of how to make a fake tattoo and list of some things to try. We know body art is all the rage today with more and more people wanting to express what they feel and believe in. Many people go the tattoo way when it comes to something that they want permanently to be there on their skin which is one option. 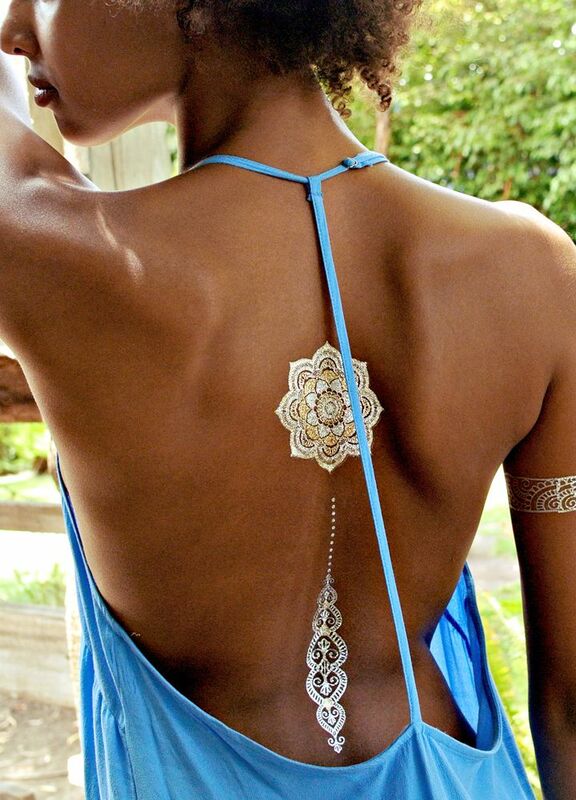 But there are others who want to use body art as a form of decoration and not in order to express some inner angst in such cases, temporary tattoos like henna is a savior. 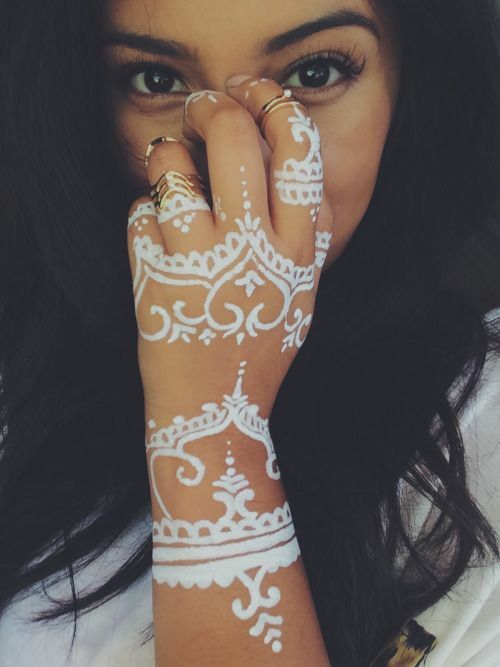 However, having said that, you should know that henna in the conventional sense tends to color your skin a color that ranges between orange to deep red or brown and if you are not fond of this color palette or feel that it is not flattering your color tone, then this is not the right way to go. 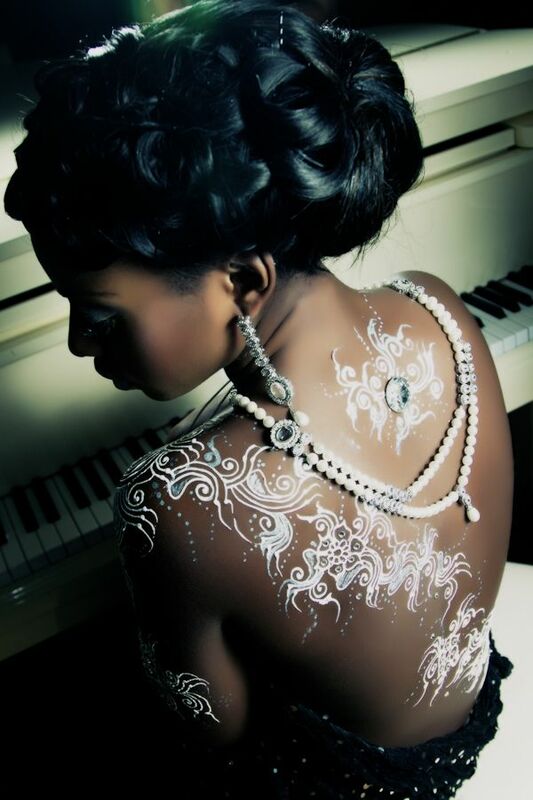 But do not despair, as there is now white henna available for you to create subtle and classic designs on your skin. 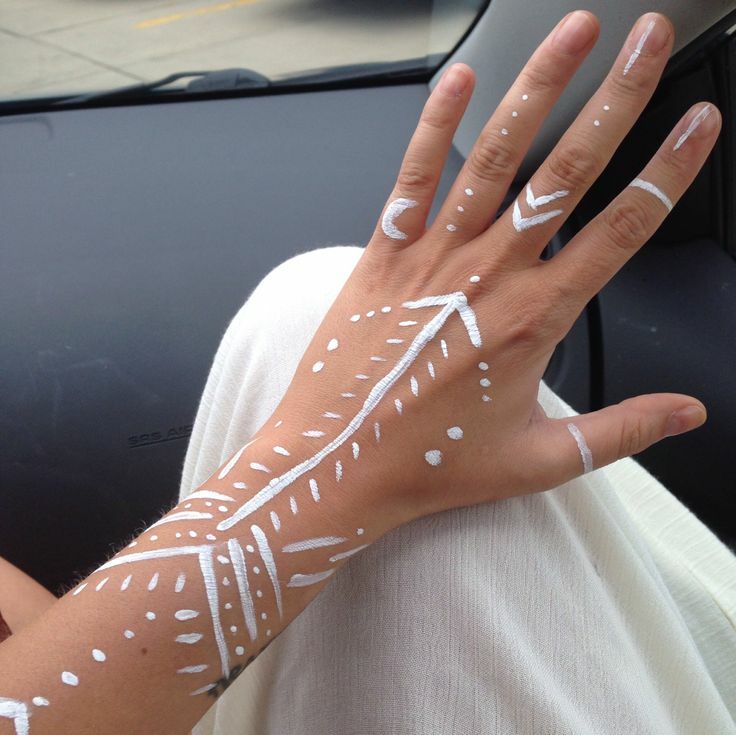 In fact, if you are lucky enough to be tanned, the effect that white henna will create can be startling and awesome. 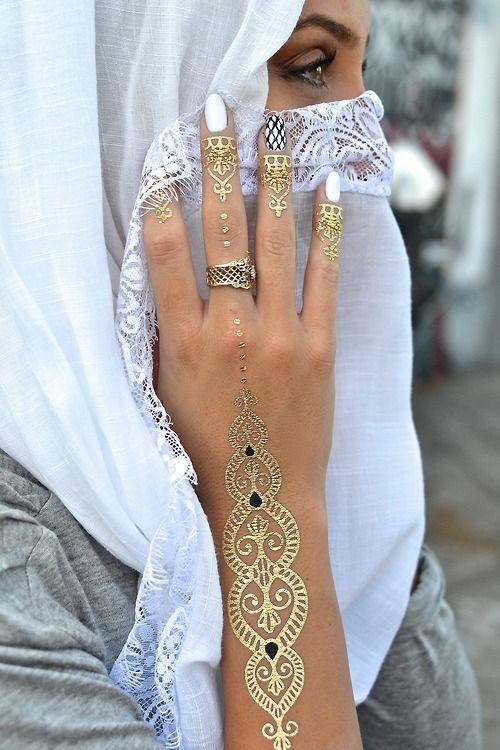 Many women have always complained about the backs of their hands (which are usually a bit darkened due to sun exposure) not taking on the colors of the traditional henna very well. 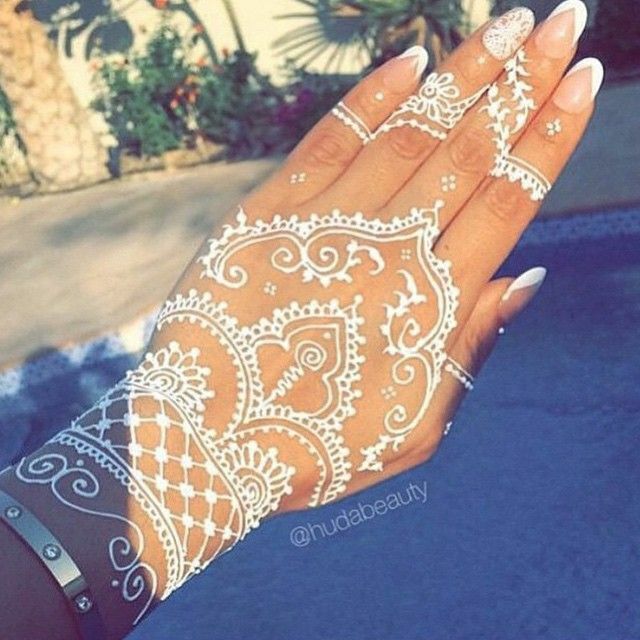 This problem is easy enough to deal with, using white henna. 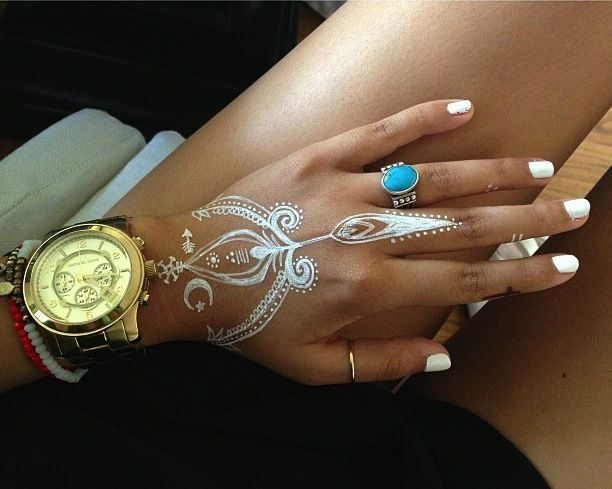 Even on feet, which also tend to be a bit tanned at times, the white henna is a good idea. 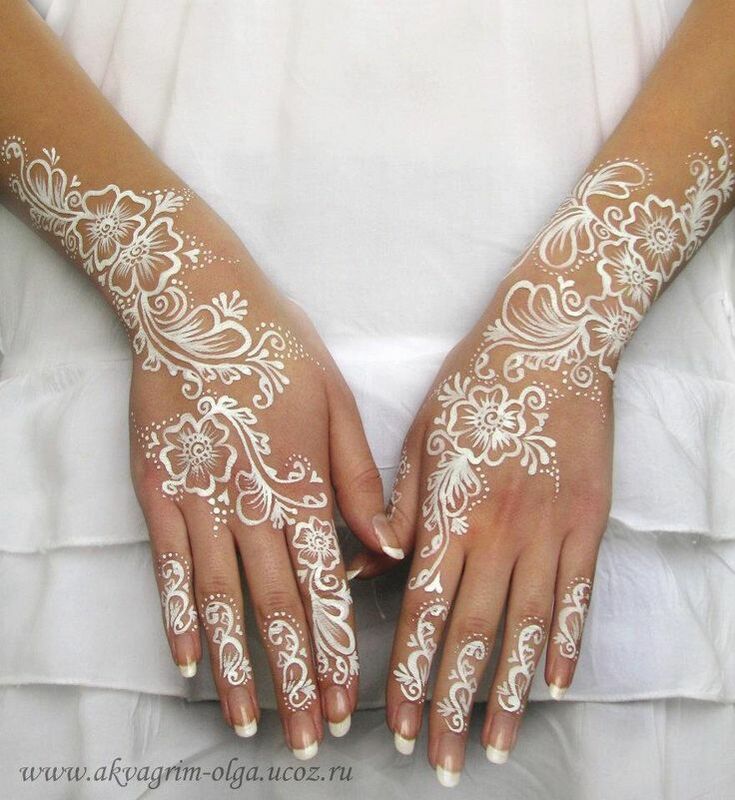 What is more, when you look at the white henna images given here, you will agree that it is something that is not completely run off the mill. Most of us are looking for ideas that will make any event and the way we present ourselves at the event a bit different. 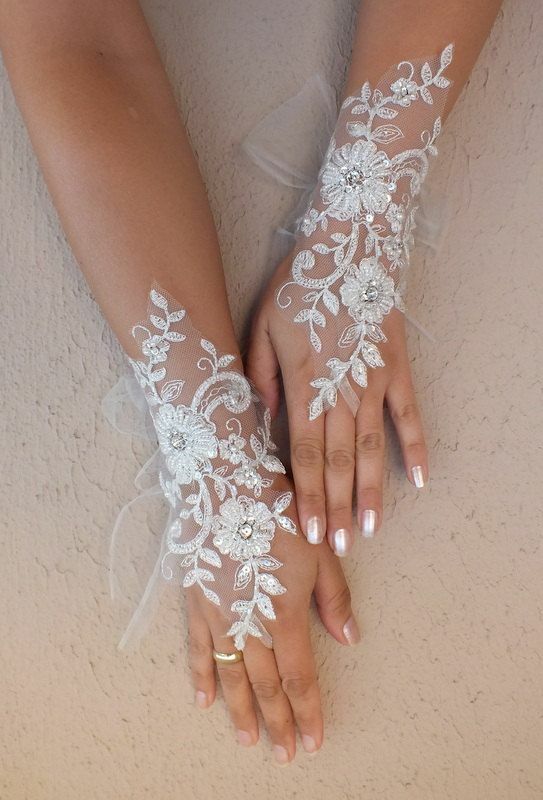 The white henna lends itself to being used almost lace like patterns on the arms and legs. This can be a great way to go when you are dressing up in western wear. 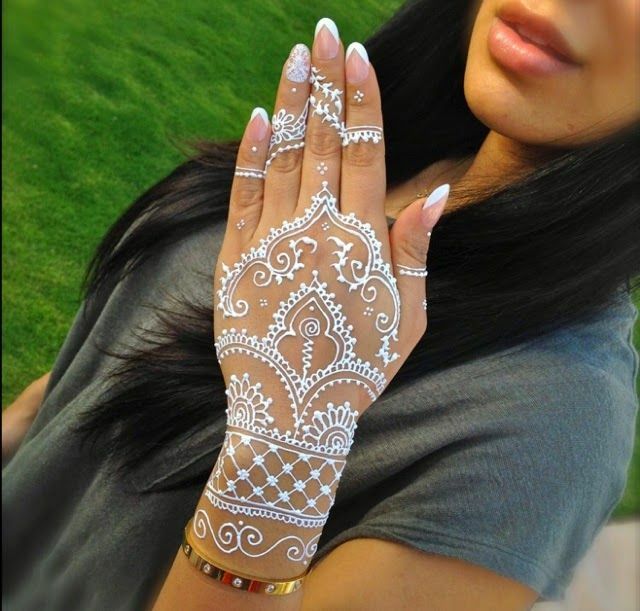 One of the other points that makes white henna an attractive option is the fact that it is so easy to remove when you no longer need it, which is not the case with normal henna. So, do tell us if you enjoyed the article and images. We would also like to know which of the designs appealed to you.